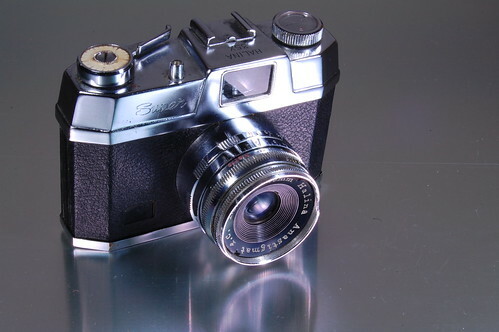 The Halina Super 35X (or 35X Super) is an upgrade on the Halina 35X, made in Hong Kong by Haking, c.1963. 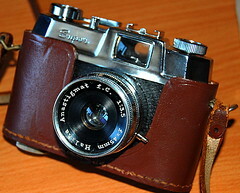 It has a similar Halina Anastigmat 45mm f3.5 lens, shutter and body to the 35X, but with a restyled top plate featuring a larger viewfinder and lever wind. 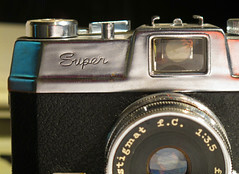 My father's Camera at Classic Cameras by RaúlM.